We are currently looking for Ph.D. students and visiting students doing research at NLPR, CASIA. If you are a well motivated and dedicated student, and plan to do research in the areas of Data Mining and Machine Learning, please send me an email with your CV. Zekun Li, Zeyu Cui, Shu Wu, Xiaoyu Zhang, Liang Wang. Semi-supervised Compatibility Learning across Categories for Clothing Matching. In proceedings of the IEEE International Conference on Multimedia & Expo (ICME), 2019. Shu Wu, Qiang Liu, Liang Wang, Tieniu Tan. Context-Aware Collaborative Prediction. Springer Briefs in Computer Science, Springer 2017, ISBN 978-981-10-5372-6, pp. 1-69. Qiyue Yin, Yan Huang, Shu Wu, Liang Wang. Learning Shared and Specific Factors for Multi-modal Data. CCCV, 2017. Shu Wu, Qiang Liu, Yong Liu, Liang Wang, Tieniu Tan. Information Credibility Evaluation on Social Media. In Proceedings of the Thirtieth AAAI Conference on Artificial Intelligence (AAAI, Demo), 2016. Shu Wu, Qiang Liu, Ping Bai, Liang Wang, Tieniu Tan. SAPE: A System for Situation-Aware Public Security Evaluation. In Proceedings of the Thirtieth AAAI Conference on Artificial Intelligence (AAAI, Demo), 2016. Jingyu Liu, Yongzhen Huang, Liang Wang, Shu Wu. Hierarchical feature coding for image classification. Neurocomputing, Volume 144, 20, Pages 509¨C515, 2014. H. Ni, B. Abdulrazak, D. Zhang, Shu Wu , Z. Yu, X. Zhou, S. Wang. Towards Non-intrusive Sleep Pattern Recognition in Elder Assistive Environment. Journal of Ambient Intelligence and Humanized Computing (AIHC), Springer, Volume 3, Issue 2, pp 167¨C175, 2012. H. Ni, B. Abdulrazak, Shu Wu , D. Zhang, S. Wang and Z. Wang. Multi-modal Non-intrusive Sleep Pattern Recognition in Elder Assistive Environment. Journal of Ambient Intelligence and Smart Environments (JAISE), IOS Press, 2012. Shu Wu and Shengrui Wang. Parameter-free Outlier Detection for large-scale Categorical Data. In Proceeding of the 7th International Conference on Machine Learning and Data Mining (MLDM 2011), 2011. H. Ni, B. Abdulrazak, D. Zhang, Shu Wu. CDTOM: A Context-driven Task-oriented Middleware for Pervasive Homecare Environment. International Journal of UbiComp (IJU), Vol.2, No.1, Jan. 2011. Shu Wu and Shengrui Wang. Rating-based Collaborative Filtering Combined with Additional Regularization. In Proceeding of the 33rd International ACM SIGIR Conference on Research and Development in Information Retrieval (SIGIR 2011), 2011. H. Ni, B. Abdulrazak, D. Zhang and Shu Wu. Unobtrusive Sleep Posture Detection for Elder-Care in Smart Home. In Proceeding of the 8th International Conference on Smart Homes and Health Telematics (ICOST), 2010. Shu Wu, Qingshan Jiang and Joshua Zhexue Huang. A New Initialization Method for Clustering Categorical Data, In Proceeding of the 11th Pacific-Asia Conference on Knowledge Discovery and Data Mining (PAKDD), 2007. Tieniu Tan, Liang Wang, Shu Wu, Feng Yu, Qiang Liu 基于卷积神经网络的显著信息检测方法及装置. CN106844765A, Application No. : 201710098500.7, Date of Application: 20170222. Shu Wu, Liang Wang, Tieniu Tan. 基于循环神经网络构建预测模型. CN106777874A, Application No. : 201611027689.2, Date of Application: 20161118. Shu Wu, Liang Wang, Tieniu Tan. 一种数据特征选择和预测方法及装置. CN106777891A, Application No. : 201611043691.9, Date of Application: 20161121. Liang Wang, Shu Wu, Song Xu. 一种基于耦合主题模型的协同滤波方法. CN103903163A, Application No. : 201410069229.0, Date of Application: 20140227. Liang Wang, Shu Wu, Baoxing Wang. 一种基于时序数据的推荐系统攻击检测算法. CN103678709A, Application No. : 201310746814.5, Date of Application: 20131230. Liang Wang, Tieniu Tan, Shu Wu, Qiang Liu, 基于高阶用户偏好的推荐方法. CN105069140A, Application No. :201510511083.5, Date of Application: 20150819. Liang Wang, Tieniu Tan, Shu Wu, Qiang Liu, 基于上下文转换向量模型的推荐方法和系统. CN104809107A, Application No. :201510253508.7, Date of Application: 20150518. Liang Wang, Shu Wu, Qiyue Yin, 一种基于结构约束的半监督多视角聚类方法. CN105718950A, Application No. : 201610041391.0, Date of Application: 20160122. Liang Wang, Shu Wu, Qiyue Yin, 一种基于矩阵分解的部分标注图像聚类方法及装置. CN105740881A, Application No. : 201610041234.X, Date of Application: 20160122. Liang Wang, Shu Wu, Qiyue Yin, 一种基于子空间学习的不完整跨模态检索方法. CN106844518A, Application No. : 201611243419.5, Date of Application: 20161229. Tieniu Tan, Liang Wang, Shu Wu, Weiyu Guo, 一种基于用户偏好的自适应采样方法. CN105740327A, Application No. : 201610041393.X, Date of Application: 20160122. Tieniu Tan, Liang Wang, Shu Wu, Weiyu Guo, 一种基于社会关系主题模型的社交网络朋友推荐方法. CN105740342A, Application No. : 201610047668.0, Date of Application: 20160107. Tieniu Tan, Liang Wang, Shu Wu, Qiang Liu, Feng Yu, 一种基于动态周期神经网络的商品推荐方法. CN105844508A, Application No. : 201610166084.5, Date of Application: 20160322. Tieniu Tan, Liang Wang, Shu Wu, Feng Yu, Qiang Liu, 一种基于卷积神经网络的点击通过率预估方法. CN105869016A, Application No. : 201610186350.0, Date of Application: 20160328. Liang Wang, Shu Wu, Cui Qiang, Qiang Liu, 一种基于多视角数据和循环网络构建序列预测模型的方法. CN106600347A, Application No. : 201710041240.X, Date of Application: 20170117. Tieniu Tan, Liang Wang, Shu Wu, Qiang Liu, Feng Yu, 基于动态表达学习的不实信息检测方法和装置方法. CN106910013A, Application No. : 201710085225.5, Date of Application: 20170216. Liang Wang, Shu Wu, Ping Bai, 分布式可视化系统及方法. CN107864074A, Application No. : 201711416354.4, Date of Application: 20171222. College of Mathematics and Computer Science, Fujian Normal University - September 23, 2015 - Fuzhou, Fujian, China. Beijing-Melbourne Workshop on Multilingual NLP and Social Media Analytics ¡ª November 23¨C24, 2015 ¡ª Beijing, China. Student Travel Award, SIGIR, Beijing. Principal Investigator; Research on User Behavior Modeling Methods based on Fusion of Entity Feature and Sequential Information; 2018.01 - 2021.12; National Science Foundation of China (NSFC); 630,000 RMB. Principal Investigator; Social Recommendation with Contextual Information of Entity and Interaction; 2015.01 - 2017.12; National Science Foundation of China (NSFC); 250,000 RMB. Co-Principal Investigator; Sub-Project; 2015.01 - 2018.12; Joint Funds of the National Natural Science Foundation of China (NSFC); 1,250,000 RMB. Principal Investigator; 2018.01 - 2020.12; Beijing Natural Science Foundation (BJNSF); 200,000 RMB. Principal Investigator; CASIA-JD Finance, Intelligence Financial Risk Joint Laboratory 中科院自动化所-京东金融智能金融风险联合实验室; 2018.01 - 2020.12; JD Finance 京东金融; 5,400,000 RMB. Principal Investigator; 手游玩家兴趣画像及生命周期研究; 2017.05 - 2017.10; 腾讯; 500,000 RMB. Principal Investigator; 基于深度自编码网络和稀疏表达的异常行为检测框架; 2016.09 - 2017.10; CCF-启明星辰鸿雁科研计划; 70,000 RMB. Principal Investigator; 基于深度循环神经网络模型的点击通过率预测; 2016.08 - 2017.10; CCF-腾讯犀牛鸟基金; 120,000 RMB. Principal Investigator; Collaborative Prediction of High Blood Pressure with Contextual Information; 2016.01 - 2016.06; iHealth and Andon; 450,000 RMB. Principal Investigator; Public Opinion Monitoring System based on Multi-modal Data; 2015.01 - 2017.12; MSR-CNIC Windows Azure Project; 50,000 RMB. 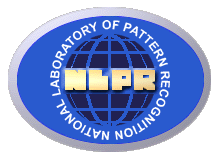 Project member; Platform for Cyber-Physical Space Sensory Data Processing and Verification System; 2012.01 - 2016.12; Cyber-Physical Space Sensory Data Processing for Public Security; 973 Program. Project member; Research on Large-Scale Visual Computing Theories and Methods; 2015.01 - 2019.12; NSF international cooperation and exchange Program. Technical Program Committee (TPC) member, The 22nd Pacific-Asia Conference on Knowledge Discovery and Data Mining(PAKDD), 2018. Senior Member, China Computer Federation (CCF), 2017-. Associate Editor, Frontiers of Computer Science, 2016-. Reviewer, The National Natural Science Foundation of China (NSFC), 2015.